With August wrapping up and everyone getting ready for back to school, this may be your last chance for some fun in the sun! This week you can enjoy pool parties, a film festival, some live music, something for the kids or find some inner peace. Whatever the case be, say goodbye to August in style and hello to September refreshed! August 28 from 11:00 a.m. to 5:00 p.m.
Say Aloha this Friday as you join Tempo Dance Academy to get sun kissed at Zest Pool Lounge! Enjoy swimming, refreshing drinks and well of course dancing! Stay or join after 9:00 p.m. for a Hawaiian Latin Night sure to spice up your night! Tickets are 15 JD to stay all day & night or pay 10 JD after 9:00 p.m. with 1 drink included. Every Friday & Saturday from 10:00 a.m. to 6:00 p.m.
Take in the refreshing open air and feel the beats every Friday & Saturday at Al Fresco Pool & Lounge! 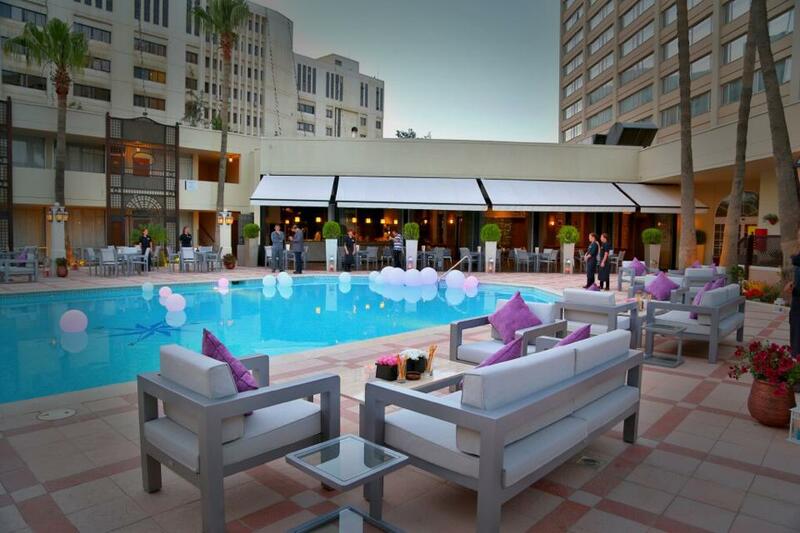 With resident DJ Daniel Nazzal you can enjoy a full day of swimming, drinks, food and fun all for just 25 JD! September 1 from 5:00 to 5:45 p.m. This is for all the little ones that just want to bust a move! 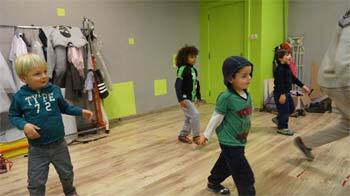 Break dance mini is an exciting class for the youngest of dancers (ages 4-7) happening at Freeway Dance Studios! This class is sure to get your little ones breaking a sweat but it also develops their musicality, large motor skills, stamina and well it’s a lot of fun! While attractive to young boys, girls are welcomed too! Try an open FREE class on September 1st and receive a special offer for the term, for more information or other classes call Freeway today! August 28 from 1:00 to 5:00 p.m.
Every Monday from 8:00 to 11:00 p.m.
Casual Mondays just got a little fancier over at Arts Cafe! 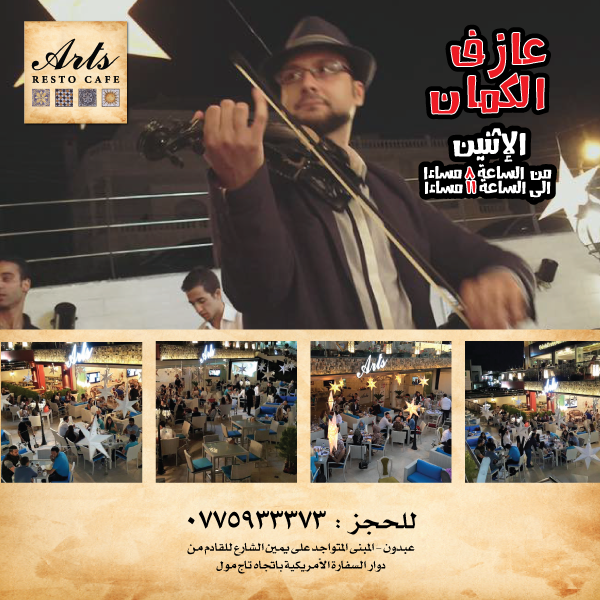 Join them every Monday as a violinist serenades you under the stars. Arts Cafe is sure to make everyone happy with their selection of beverages, food, shisha, music or TV selections, but hey don’t take our word for it – go try it! 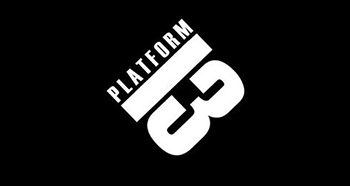 August 25 from 9:00 p.m. to 12:00 a.m.
Rock out with Platform 13 this Tuesday at Murphy’s! With a whole new set-list sure to get your head banging and out of your seat! No tickets necessary but be sure to call and make reservations today. August 27 at 8:00 p.m.
Test your knowledge in Japanese cinema at Montage! Find similar people in Amman that love all things Japanese as you enjoy food, drinks and a chance to win valuable gifts! Entrance is only 5 JD per person (includes a soft drink and a sandwich) – To confirm your attendance, send an email to film.advisory@film.jo entitled “Confirming Attendance – Quiz Night”. 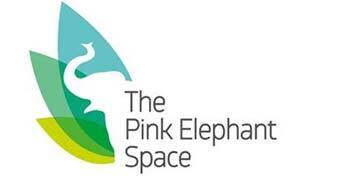 August 23 – 26 at 8:00 p.m. The Royal Film Commission in cooperation with the Algerian Agency for Cultural Influence invites you to Algerian Film Days!